“Sleep Suite”, the first collaborative effort by Glenn D. Wollman, MD, a Western-trained Emergency Medicine/Integrative Medicine specialist, and Terry Wollman, a classically-trained musician and award-winning composer. This CD is digitally recorded and mixed by Emmy and Grammy award winning engineer Peter R. Kelsey. This music can also be helpful for calming, relaxation and meditation. It is conducive to slow, mindful exercises like Qigong, Tai ji and Yoga. Children fall asleep easily with this music. I recommend whole-heartedly this wonderfully effective and soothing CD for anyone who wishes to experience relaxed meditation and restorative sleep. This first co-creation by Dr. Glenn Wollman and his award-winning musician cousin Terry Wollman is a welcome gift. I promised I would get back with you re: your CD and it is EXCELLENT! I have used it several times and it works like a dream! In fact I have NEVER gotten past eight minutes of it! In the music biz, people know me as “The British Ambassador Of Soul,” the owner of soulmusic.com and the author of “The Soulful Divas”! And, my sister says that after years of sleep deprivation, the CD is doing wonders for her – so she thanks you too! I enjoyed your Musical CD very much but the biggest hit was with our infant granddaughter. When she was upset and having difficulty sleeping we would put the CD on and she calmed down almost instantly. MAGICAL! I was amazed at how soothing, professional, multicultural and powerful Sleep Suite is for slipping into deep states of sleep. Every night I look forward to ending my day with sliding into sleep listening to this amazing CD. I listen to the CD every night and it makes a difference in how fast I go to sleep and how deep I go. I loved sleep suite – So thank you. During a Reiki session, the goal is for the client to enter a deep state of relaxation, enabling their body to heal itself as it is meant to. Along with the Universal Life Energy that flows through them, the “Sleep Suite” CD helps them reach this state of deep relaxation, often within minutes. Every time I stretch out and play your disk, “Sleep Suite”, in order to professionally evaluate the work, I fall asleep. That must be my professional assessment. When I was reviewing the Morpheus cut, I fell asleep! Do not play this CD at work. I did, and suddenly realized I had fallen asleep at my desk and had to start the CD over again to review it. This CD is dangerous and should not be played at the same time as driving, or operating heavy earthmoving equipment! It is the most relaxing music I have ever encountered, and I have been a Taoist/Buddhist for decades, exposed to innumerable selections of music for meditation and quieting the mind. Wollman’s CD is a wonderful preparation for any activity in which a calm mind is an advantage or in which the dimension described as “Flowing with Golden Stream—Flying with Celestial Cranes” is to be experienced. I’ve always believed that you can’t have a high performance career in a low performance body. I get exercise and eat fairly healthy, so when I entered menopause and had difficulty sleeping I was very frustrated. Your “Sleep Suite” CD has gently guided me to a serene and restful sleep and I am now able to start my day more energized and on top of my game. I’m looking forward to even more success than I already have now that I have added this level of balance to my life. I haven’t slept this well in a long time as when I’m listening to “Sleep Suite”. Perhaps you should market it in DC and NYC as the “anti-terrorism go to peaceful sleep and forget about it” CD. I haven’t had such crystal clear good dreams for a long time either. Please thank the dream doctor for me. I conscientiously DON”T listen to it when I WANT to worry/think about work in my sleep, which I do, because then, I don’t. 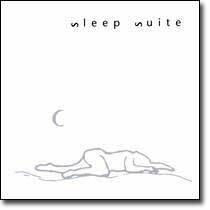 This CD is a wonderful way to get a good nights sleep. Every time I listen to it, while sleeping deeper and deeper each time, I get a totally different relaxation from it because each time I seem to hear different things. I have recommended to all my friends, even for their rowdy cats. This CD will put your beast to sleep. This CD is truly a gift. It represents a rarely seen collaboration between the arts and sciences. The research is sound and the art is unique. The CD reflects all that you would want from this collaboration, when new age CDs are a dime a dozen. as little as 3 minutes on your path to optimal health. Copyright © 2011-2019 | All rights reserved.